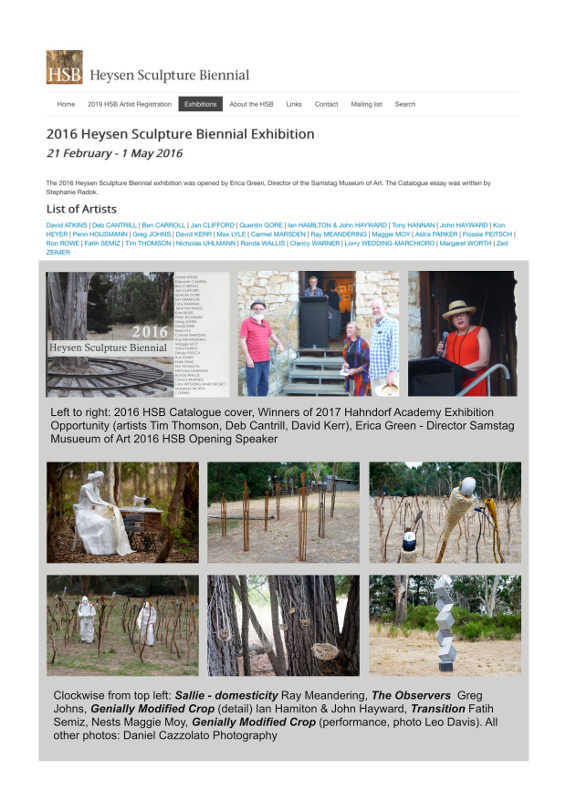 The Heysen Sculpture Biennial Inc. aims to promote and support arts and artists in Australia by hosting a biennial, paid entry, visual arts exhibition of contemporary sculpture/three-dimensional art. Artists to exhibit in the biennial are selected from a public call and assisted in preparation and placement of their pieces by a curator appointed by the biennial. Four successful biennials have been held and the next is scheduled for April May 2019. The works are exhibited the grounds of the Cedars the home of the late Hans Heysen. The biennial is organised by committee of mostly practising visual artists and all are volunteers. While there is a small entry fee, the biennial is heavily dependent on donations to meet its costs. 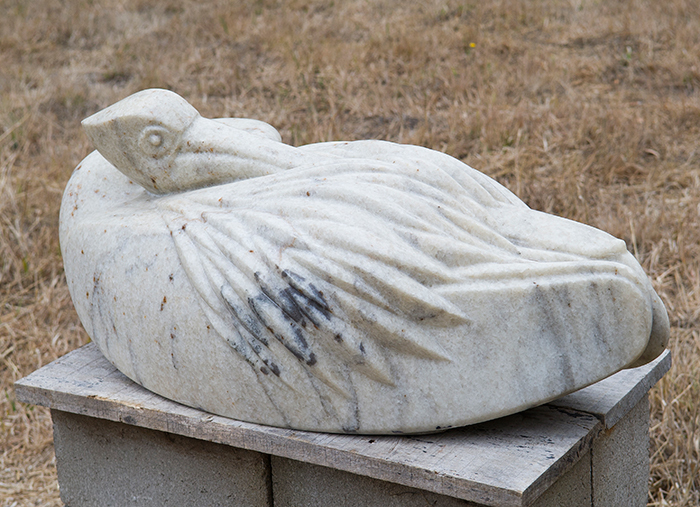 The biennial offers a unique opportunity for sculptors to display their skills and sell their works to the general public in a heritage and well visited South Australian site. In the coming 2019 biennial the organisers are initiating an increased education program both online and for visitors and have the first time employed a curator to assist the selected artists as they prepare their works and to place them in the grounds of the Cedars. Local businesses are providing crucial support in the form of cranes and accommodation for the sculptors. The primary use of donations will be to support the production of a formal catalogue of the exhibition and the initiation of the education program which will be based around an online module and if funds are sufficient hosting school visits with an experienced artistic educator during the exhibition. For sculptors exhibiting pieces has a significant cost due to their size and the biennial wishesto raise enough support to help sculptors bring their pieces to the exhibition and mount them. Successful exhibition at the biennial is a major benefit to both the CV and the experience of the participating sculptors. 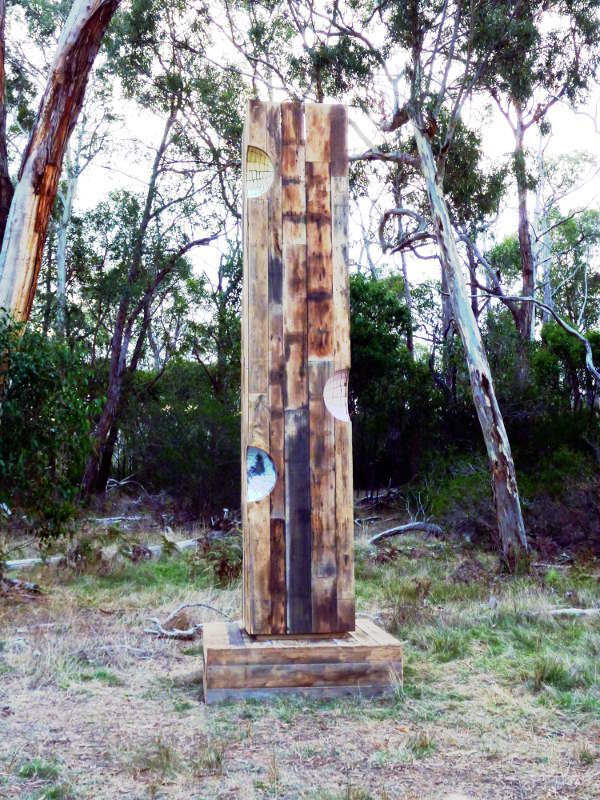 In order not to conflict with the Palmer Biennial the next Heysen Sculpture Biennial will be in 2019.